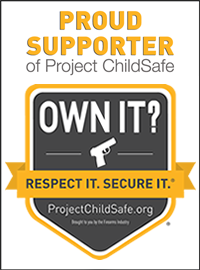 I attended my first really big pistol match last weekend, and let me tell you that I am pathetically proud of myself for doing so! 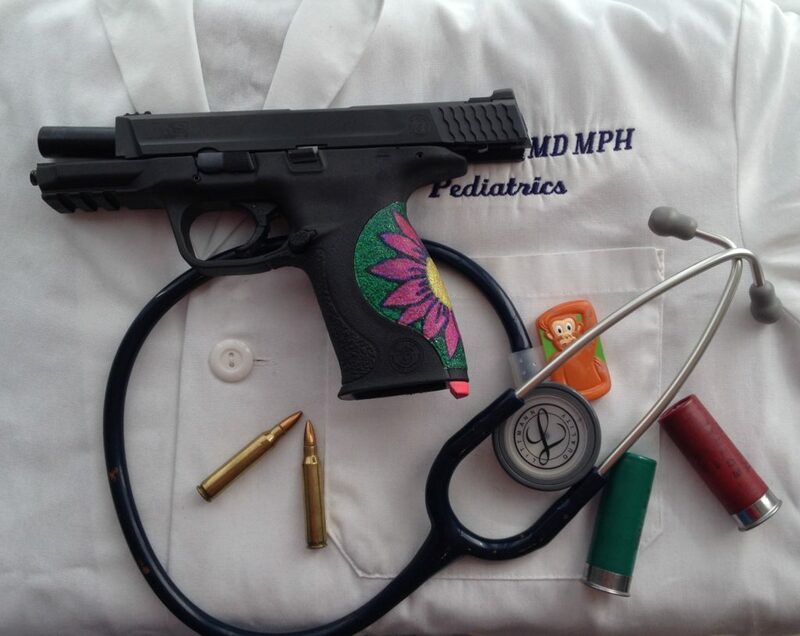 You would think that becoming a doc at a late age would be enough to keep me permanently proud of myself, but no — I get surprisingly large self-esteem bumps out of my ongoing firearms accomplishments, too. 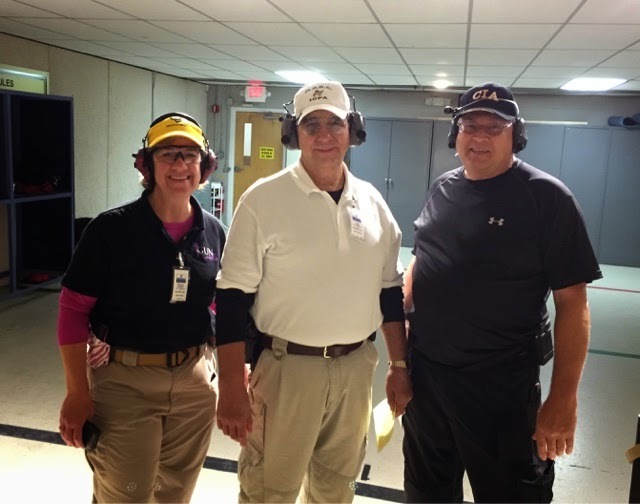 The match was the second ever IDPA Back Up Gun National Championships in Springfield, Massachusetts. And yep, it followed Brownells Lady 3 Gun by less than a week. I was home from Atlanta for 48 hours, during which time I did laundry, repacked, and most importantly –stripped my car and all my gear of everything that might get me arrested in the state of Massachusetts. I’m not kidding. Massachusetts is a notoriously gun-UNfriendly state. It astonishes me how Smith & Wesson can in good conscience continue to stay there, but it is what it is. Maybe it’s just plain dig-in-your-heels stubbornness, which I suppose I should admire. It just made me inordinately paranoid travelling there. Not to mention that getting to Springfield also required travelling through the states of New York and Connecticut, which aren’t any better. And then there is New York City. I used the Mapquest app on my phone and specifically tried to avoid that giant sucking vortex of doom, but on the trip up, the turn-by-turn “missed” an exit until I was 500 yards past it, and committed me to a white-knucked, sweaty-palmed ride into the dragon’s lair. Now, my Glock 42 and .380 ammo were in separate padlocked boxes, in the back of my car, and the boxes were also bicycle cable-locked to the inside structure of the vehicle, so I was obeying all interstate transport laws, and then some. But I did not trust anyone who stopped me to actually KNOW what the law was. I’ve read too many stories. So, I obeyed the speed limit, tried to make as few lane changes as possible, tried to become invisible (where is the One Ring when you really need it?) and kept on moving. Did you know that the toll for the George Washington Bridge is THIRTEEN DOLLARS?!! Unbelievable. Screw you, Mapquest – next time I’ll use a paper map. Those last 7 miles took the better part of an additional hour to cover, due to the smouldering hulk of what was once a very large truck in the right hand lane. Okay, better to have a screaming bladder than to have been “in” that wreck. Blessings counted. But I STILL had to pee!! There were additional hotel issues to deal with once I got there, but you came here to read about the match, not about my inability to keep dates straight, so let’s keep moving. 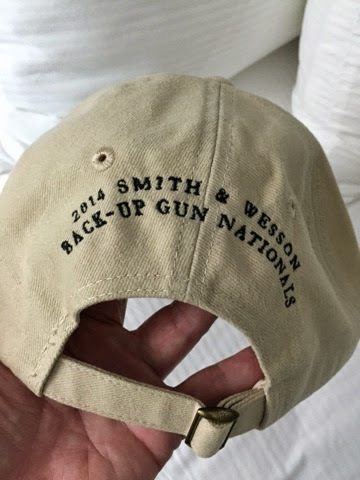 There were two guys from my home club also shooting this match, so we met up for dinner after registration, and agreed to meet back up at the Smith & Wesson Facility bright and early the next morning. We were shooting on Thursday on squad 11, so other than the SO’s, we were the first batch to shoot the match. 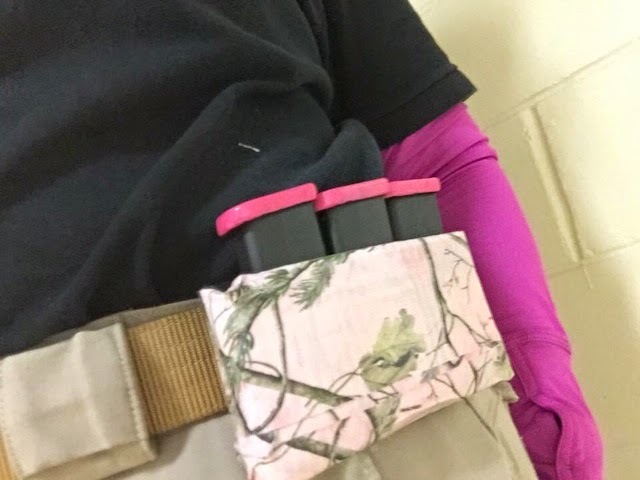 My beautiful redneck mag pouch, made out of an old cellphone case and duct tape. Since in BUG, mag changes are off-the-clock, I didn’t bother to invest in “real” mag pouches for this gun yet. I was glad that the guys from my club were there to squad with. It helped with my usual “never been here before, I don’t know a soul, what do I do?” jitters. I almost always do this alone, so it was nice for a change to have some familiar faces. The shooter’s meeting was a little later than the scheduled 7:30 start, and as I looked around, I saw only a handful of other women. Yeah, this wasn’t L3G – I was back to the usual match sausage-fest. At least there wouldn’t be a line for the ladies room – LOL! 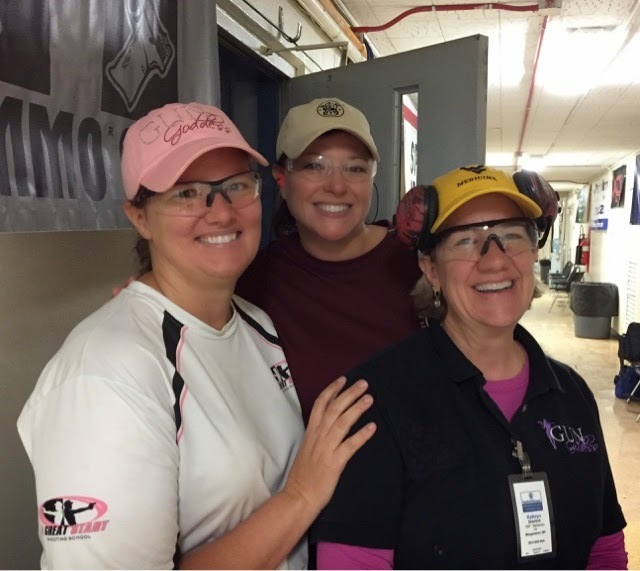 One of those handful of women was also on my squad though, so that was nice – another shooter gal to pal-up with is almost always a good thing. I was nervous. I hadn’t ever shot indoors before, except for the “fun house” at Gunsite last summer. I also hadn’t ever shot low light/no light stages except at Gunsite. This was going to be an interesting adventure. Our squad got to start on stages 1-3, which were the VERY cute “Honeymoon” scenarios. The idea was that there had been a Hatfield-McCoy type wedding, and bloodthirsty in-laws kept trying to crash the Honeymoon. 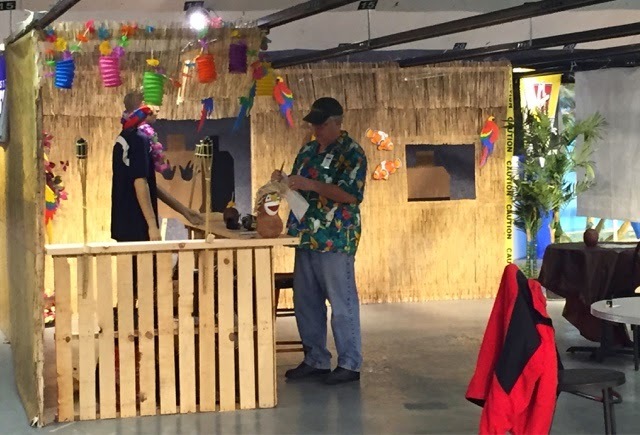 There was a tropical hotel room set-up, a tikki bar, and a beach set-up. 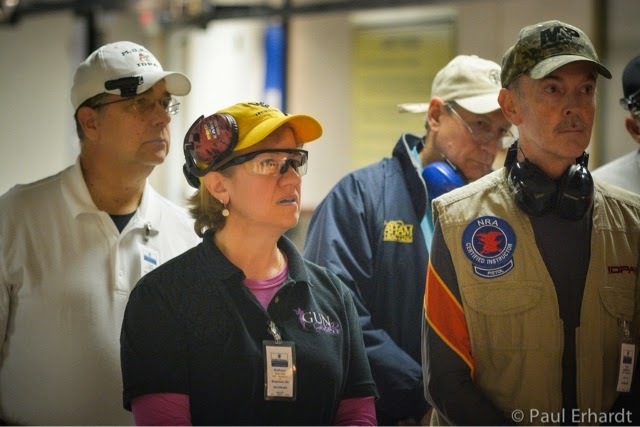 It was sponsored by the US Coast Guard Academy, Academi training, and Comp-Tac. It was a very fun way to start the match! I’ve never shot strong-hand-only while holding a coconut umbrella drink in my weak hand before 🙂 I’ve also never had SO’s wearing matching Hawaiian shirts before, either. Needless to say, my early match jitters were gone by the time I finished with this really fun set of stages, and I was set to enjoy the rest of the day. The bartender is a mannequin, not an SO, so don’t ask him any questions. Stages 4 and 5 were a warehouse robbery scenario. These were skills I was a little more familiar with. There was hard cover, and no-shoots, shooting on the move, shooting while retreating, and shooting in sequence from cover. Stages 6 and 7 were another new experience for me, as I had never shot from a living room couch, or a bed before. The bed stage was also the first of many that would involve low-light. I learned my first lesson about lighting here. Even though on the walk-thru, I thought there would be enough ambient light to do the job, in the end, the muzzle flash proved me wrong. The bedside lamp messed up my dark vision too. Interesting lesson. IDPA may be a “game”, but I learned a few things applicable to real-life home self-defense in this stage. From then on I had my tactical flashlight with me. It also started me thinking that getting tritium sights for my little Glock 42 might be a good idea. Stages 8, 9, and 10 were shot through ports in more low light. People might be tempted to think that 5 shot strings through a port would be easy. Uhhhh … no. 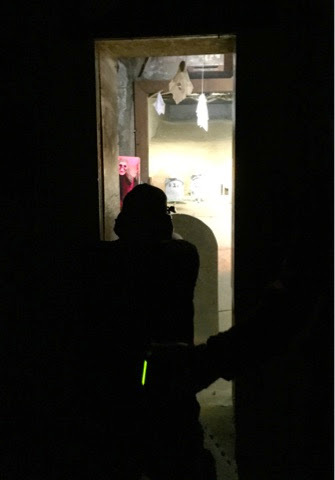 The targets were not only in low light, they were also overlapping each other – which makes “slicing the pie” interesting – and one of them had a swinging no-shoot. 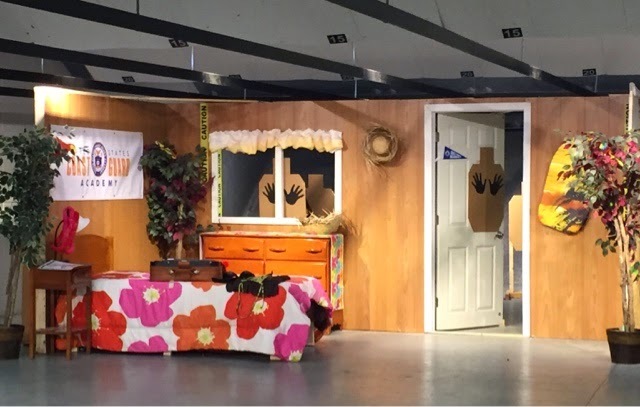 The stage designers really gave us a work-out in this set. Stage 11, sponsored by Voodoo Tactical, was appropriately, a cemetery and gravestone hard-cover type stage. The gravestones were steel, and if you “crowded” them too much, you got a lot of auditory feedback with the indoor range. Really fun!! Stages 13 and 14 were our last stages of the match, and they were just as deviously designed as the rest, if not more so. Stage 13 involved headshots while retreating, and not just one, but two steel plates placed directly in front of no-shoots, such that if you missed, you not only didn’t get a make-up shot with the 5 round string, you also got tagged with a hit on a non-threat. I am thrilled to report that I got both steels without penalty! Stage 14 was a poker-game stage that stretched my planning skills considerably. There were three strings of Limited Vickers. There were three targets that all had to be engaged at least once during each string. The first string was sitting at the poker table, the second string was retreating toward the doorway, and the third string was using the doorway as cover, with a no-shoot obscuring part of the view. When the dust cleared, each head had to have two hits and each body had to have three hits. Shooter’s choice how to make that happen. Fortunately, a squadmate had SO’d a similar stage at his club, and graciously helped me with a strategy. Otherwise, I might still be standing there counting on my fingers LOL! When I finished those last stages, I did a little happy dance. I didn’t know how I placed at that point since it was only the first day, and there would be squads shooting Friday and Saturday too, but I was very happy with my performance. I didn’t DQ, and I only had one Failure-to-Neutralize, and one Non-threat penalty for the entire 14 stages and 200 rounds! I was thrilled! The fellows headed on home the next day, but I had decided to stay for the match dinner because I wanted to have the “whole” experience. It was kind of nice to have two whole days in a hotel with no particular obligations. If I had been home I’d have felt obliged to do laundry and clean. 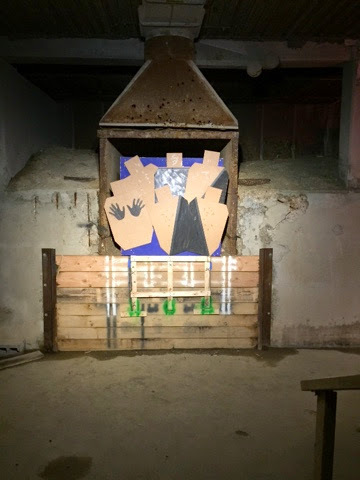 Instead, I visited museums and blogged about Lady 3 Gun. 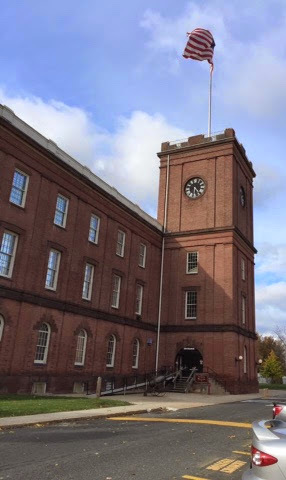 If you are ever in Springfield, MA with nothing to do, I suggest visiting the Springfield Armory National Historic Site. 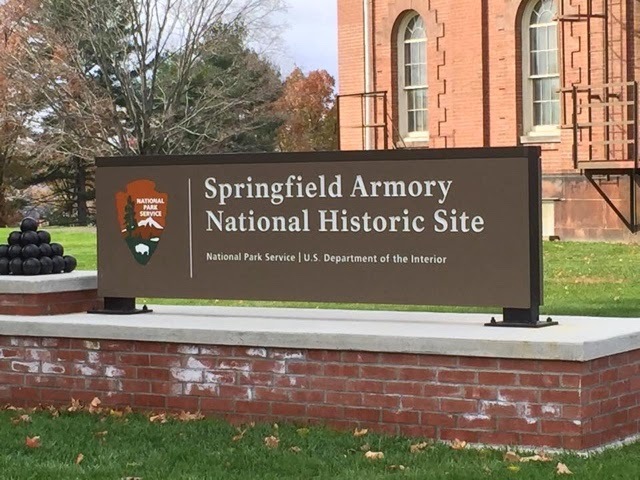 http://www.nps.gov/spar/index.htm You can also swing by the collection of 4 Springfield Museums – 2 Art, 1 History, and 1 Science. 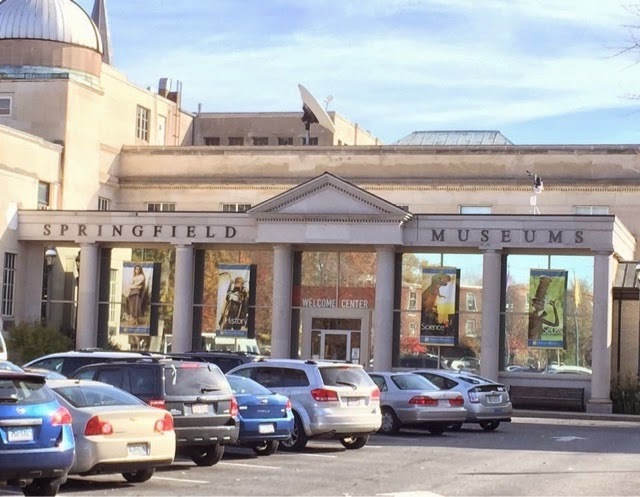 http://www.springfieldmuseums.org And while you are there, you can also visit the Dr. Seuss park, since Theodore Geisel was born in Springfield. The things you learn when you go on a shooting trip. The Match Dinner was fun, thanks to a father and son who struck up a conversation and invited me to sit at their squad table. My HEROES! It may not be apparent to the casual observer, but I do have a bit of social anxiety. I’m fine when there are set tasks and routines to be followed, like at a match, or during a patient encounter, ( or I’m behind a computer screen LOL), but cocktail receptions are absolute torture for me. 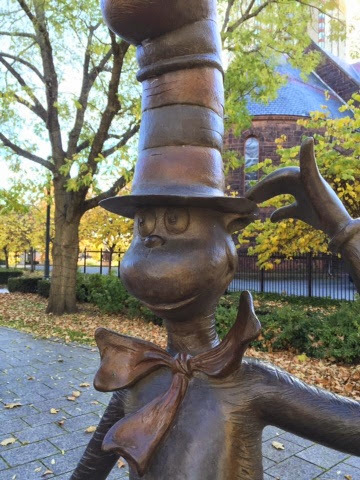 I stand there, and fidget, and look around nervously, with no one to talk to. I usually end up getting a glass of wine so I have SOMEthing to do with my hands. I stand in a corner or off to the side, and fight off mild feelings of panic. I HATE it. I was to the “get wine” stage when this father and son engaged me in conversation. It’s a good thing, too because dinner ran over an hour late. Alone, I’d have bailed by then and gotten a pizza in my room or something LOL. 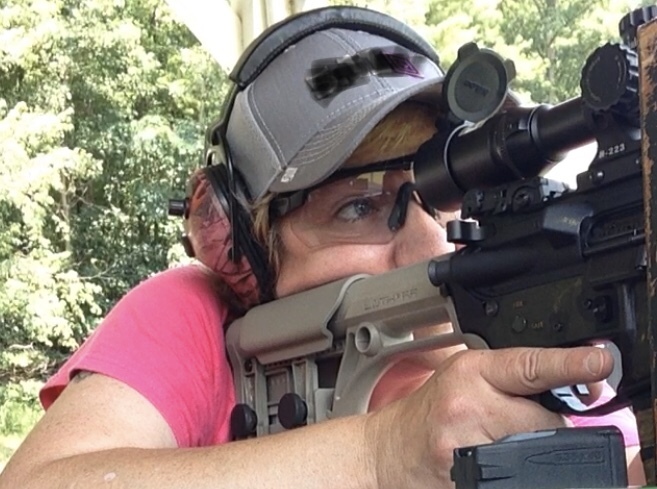 But really – my first IDPA match that wasn’t at my own club, shooting a gun that just came out this year, having never shot indoors before, or much in the dark before either, and after the week of shooting and travel I had at Lady 3Gun —- this was way better than I thought possible, and I was ecstatic!